If this weekend of La Liga action has taught us anything, it is that anyone can beat anyone, and the title race may be in its infancy, but already it is anyone’s for the taking. After all, who would have predicted that in both Barcelona’s and Real Madrid’s last two league games (including this weekends) both sides would only take one point from a possible six? 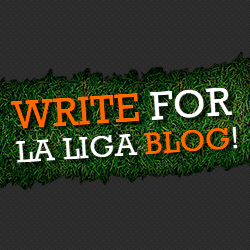 Or that newly promoted Valladolid would provide an early season hammer blow to Villarreal? Well, that is exactly what has happened as we take a look back at the action of week seven so far. The table does not lie, and both Barcelona and Real Madrid may sit on the summit with 14 points but both sides will be hugely disappointed not to have more. However, Real Madrid may be the happier of the two but only because they drew with Atletico 0-0 in an intense Madrid derby at the Wanda. There is little shame in that result for either side but after Real’s 3-0 mid-week at the hands of Sevilla, new head coach Julen Lopetegui will know that he MUST beat Alaves next week to avoid any serious questions about his so far short Real tenure. Barcelona head coach will know his side have thrown away two golden opportunities to secure maximum points after a shock midweek loss to Leganes was backed up by an uninspiring 1-1 draw at the Camp Nou against Athletic Bilbao. Bilbao will have been delighted with the point especially after a difficult start for the Basque club has seen them claim just one win in seven outings. Sevilla has been the big winners this week closing the gap by five points to the big two in just a matter of days thanks to their 3-1 win away at Eibar on Saturday whilst Valencia where also smiling thanks to a 1-0 win away at Real Sociedad. In the battle of the minnows, new boys Huesca earned a creditable draw on home soil against last seasons surprise package Girona whilst Espanyol also earned a point in a 2-2 draw at Rayo Vallecano. Levante took down Alaves 2-1 at the Ciutat de València in a game that both sides would have fancied their chances, but it was Real Valladolid who was the big winners getting the better of big hitters Villarreal 1-0 at the Yellow Submarine’s El Madrigal. Celta Vigo and Getafe are yet to play in week seven with their game kicking off on Monday night but right now, La Liga looks more open than it has for over a decade and the whole division is better off for it.